Below the high resolution pictures is a press release for the faire. 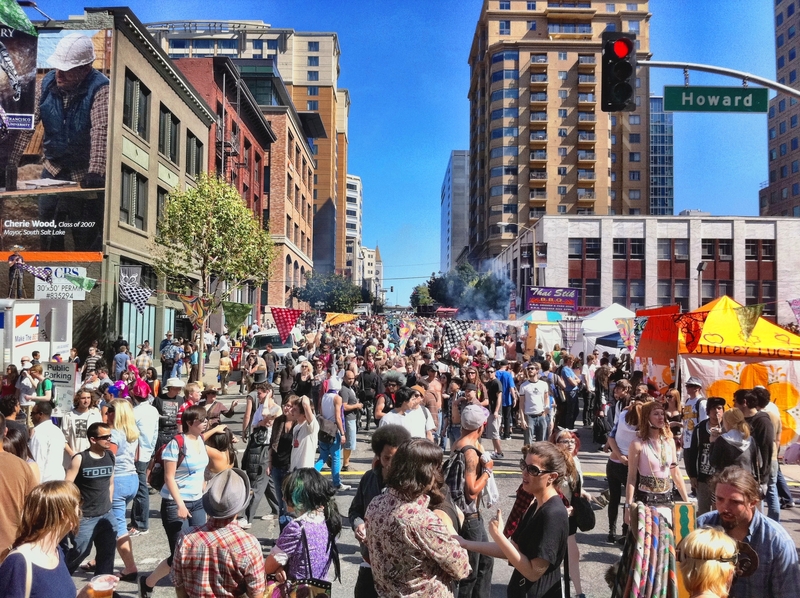 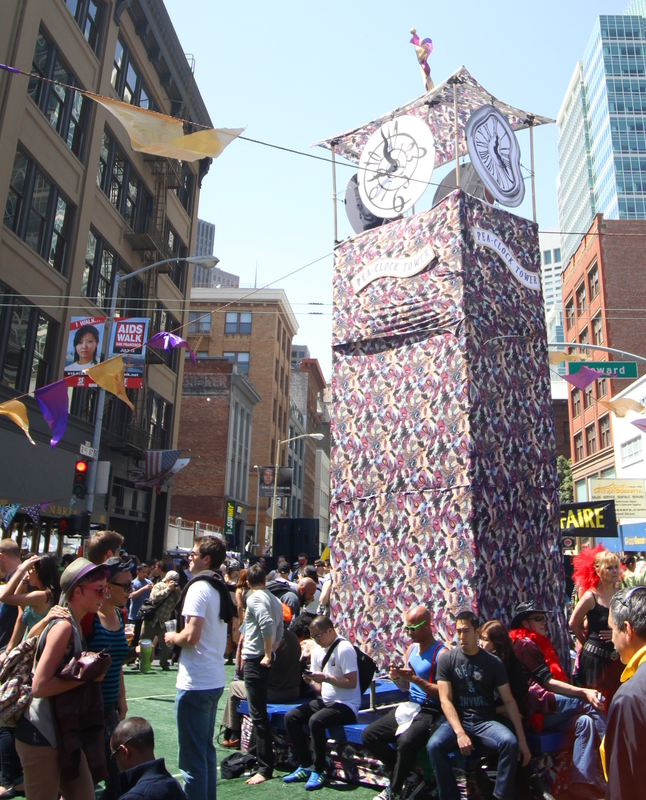 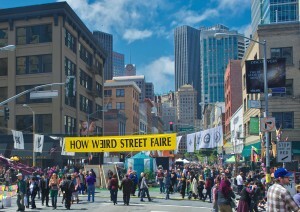 San Francisco’s Festival Season Begins on April 28th with the 14th Annual How Weird Street Faire. 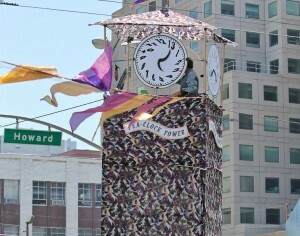 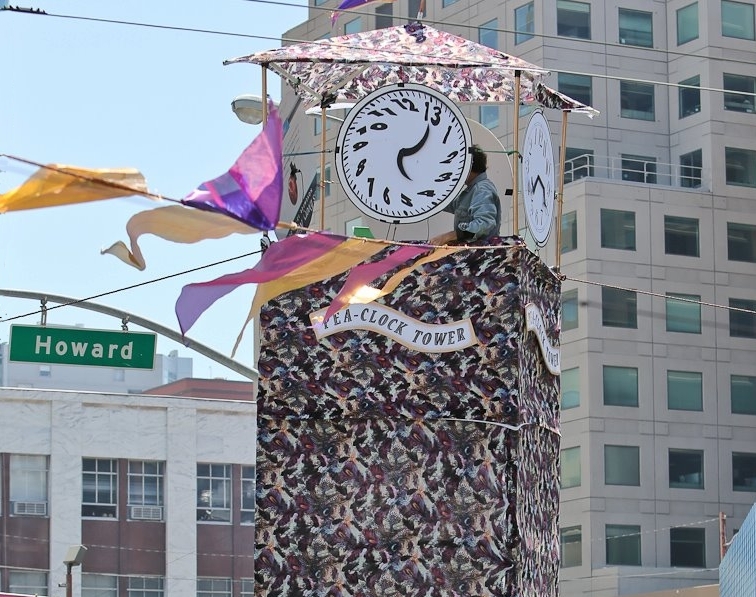 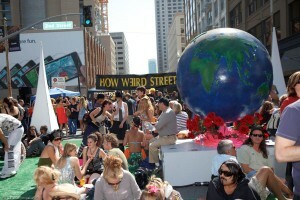 Weirdi Gras Takes Over the Streets of Downtown San Francisco on Sunday April 28, 2013. 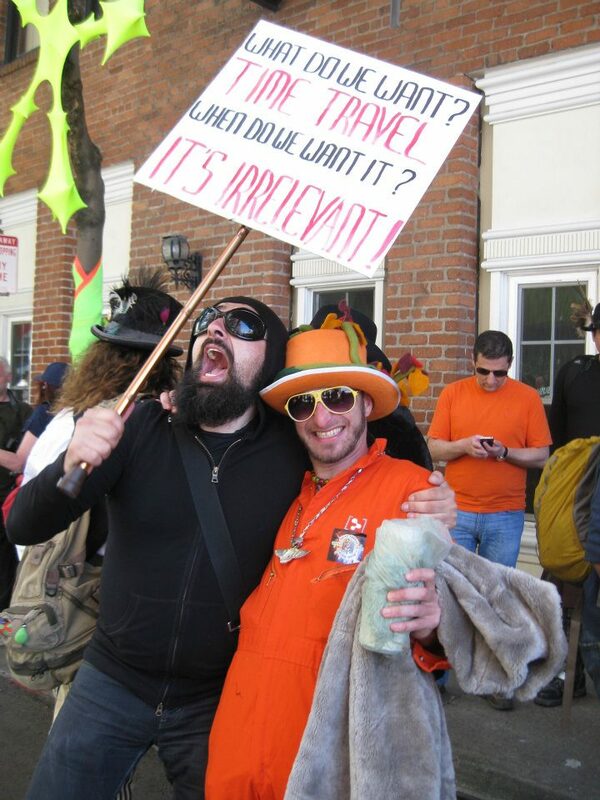 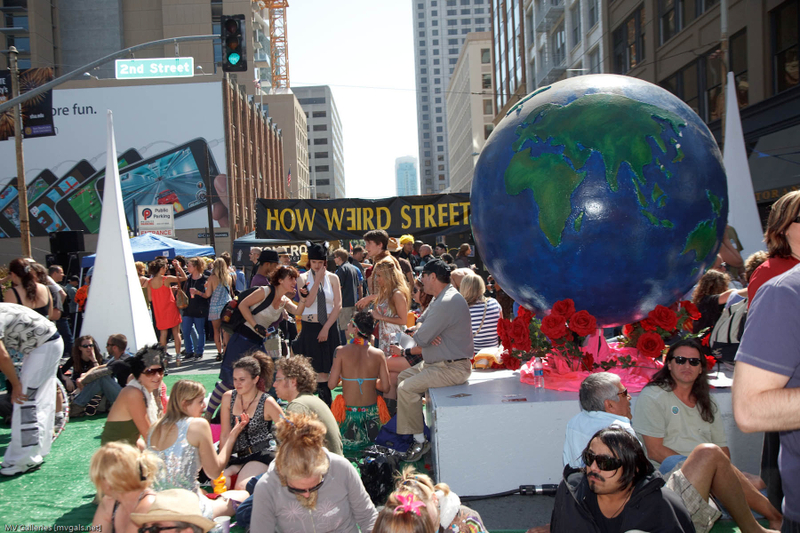 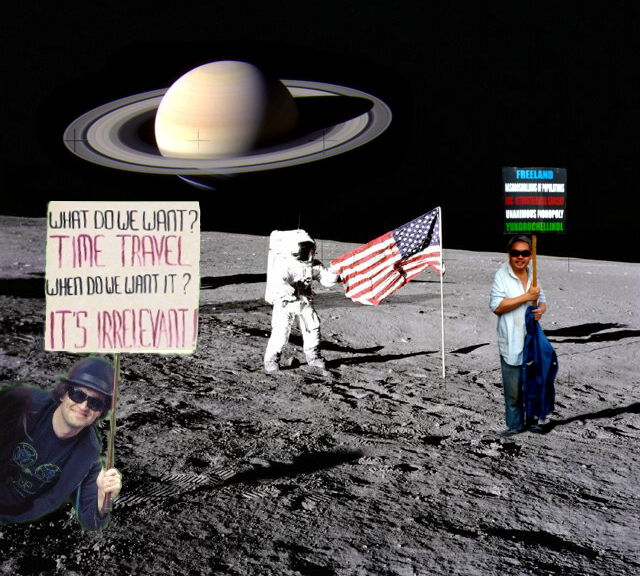 San Francisco, CA – February 12, 2013 – How Weird’s theme this year is “Weirdi Gras”, a unique San Francisco take on a classic event. 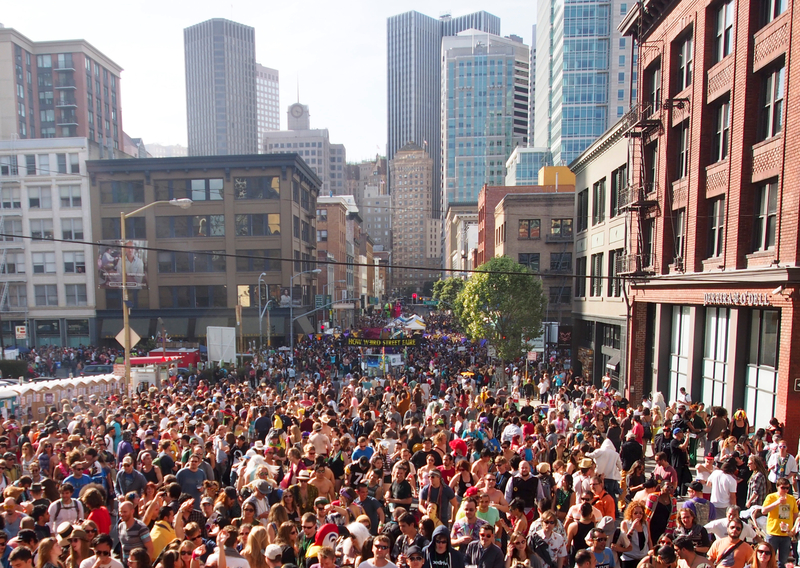 There will be marching bands and parades, art and performances, 10 stages of world-class electronic music, vendors from around the world, and thousands of people in colorful costumes dancing in the streets. 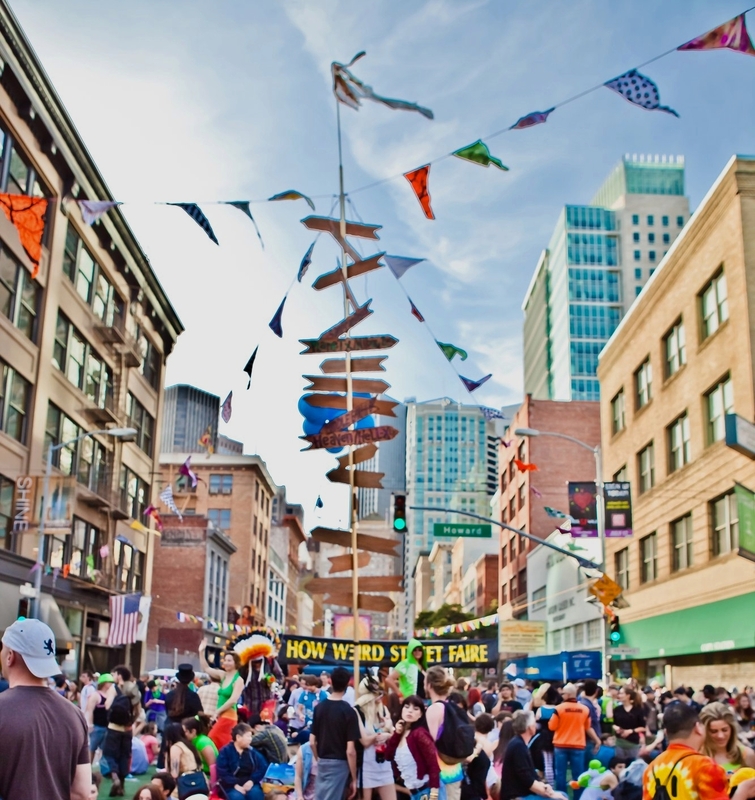 It will be a spectacle of music, art, and motion unlike anything you’ve seen before, a carnival of peace in the Mardi Gras tradition. 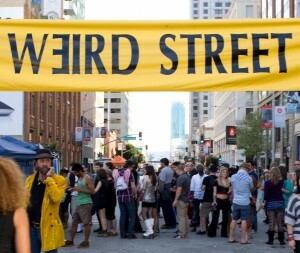 The How Weird Street Faire is centered at Howard and 2nd Streets, in the SoMa district of San Francisco. 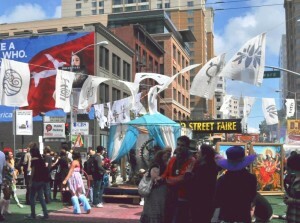 The faire takes place from Noon to 8pm. 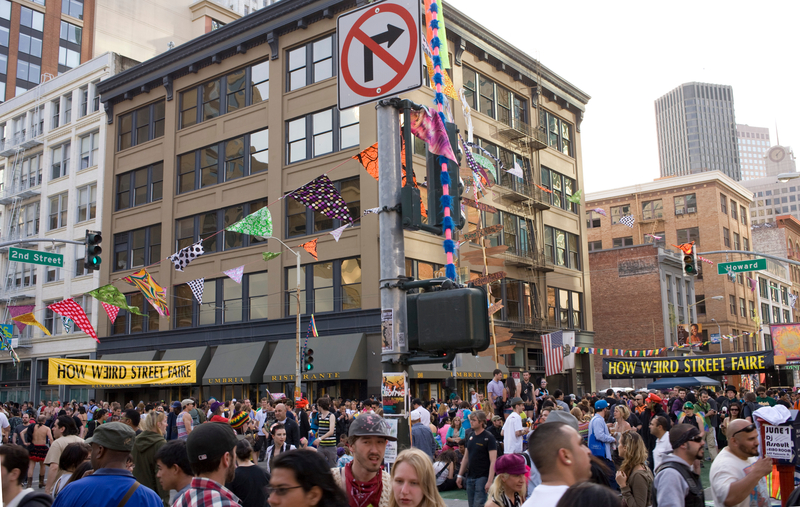 The main entrance is at Howard and New Montgomery Streets, a short walk to MUNI, BART, the Transbay Terminal, and Caltrain Station. 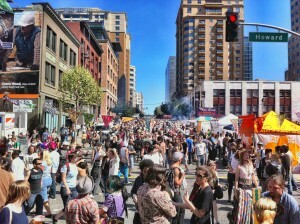 The faire is open to all ages. 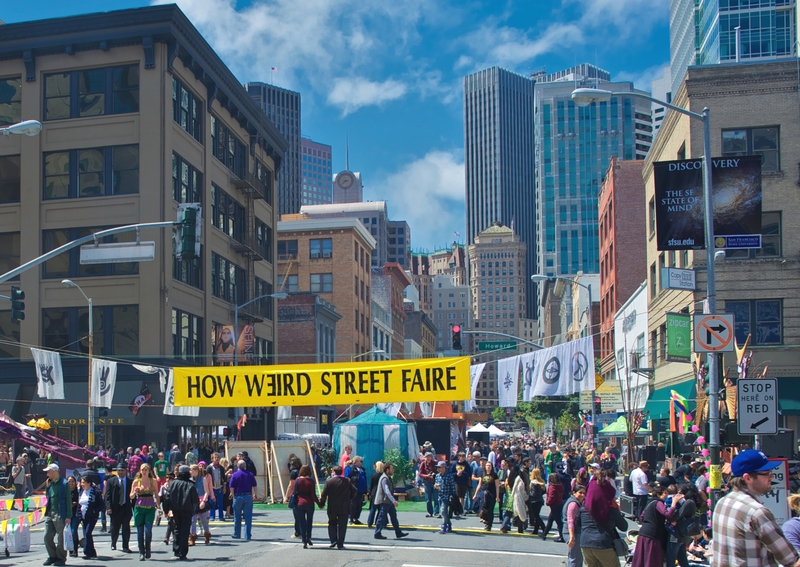 The How Weird Street Faire is participating in National Dance Week this year. 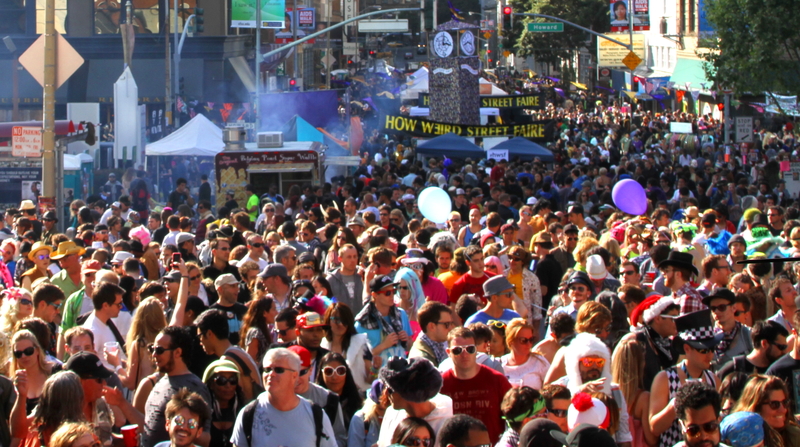 As a part of the festivities, there will be a special flash mob at the brand new Marching Band and Performance Stage next to the center intersection. 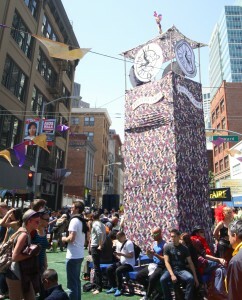 National Dance Week was formed in 1981 to promote the benefits of dance. 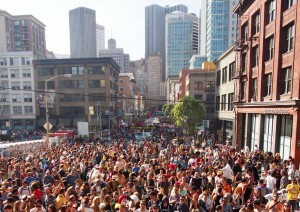 Thousands of events will take place across the country, including over 600 events in the Bay Area alone. 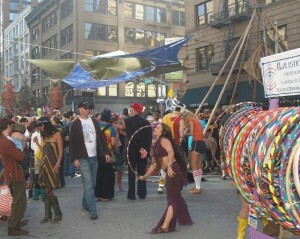 Dance is currently receiving renewed recognition as a highly respected art form as well as a powerful therapeutic tool. 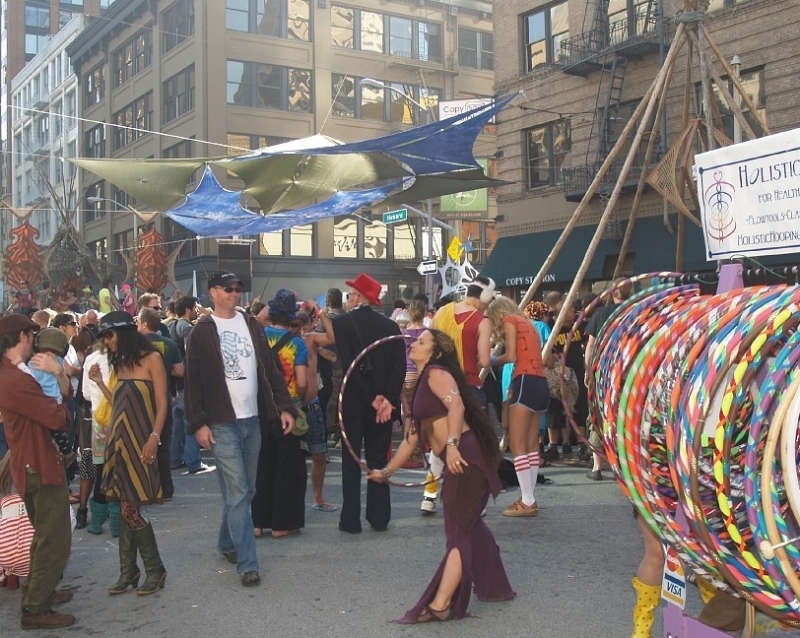 Traditionally, dance has been one of the primary expressions of human culture, used for communication, community building, social interaction, healing, and religious ceremonies throughout the world. 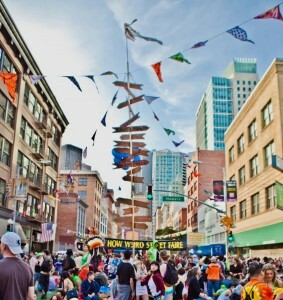 Preceding the spoken and written word, dance is a global language, transcending barriers and differences. 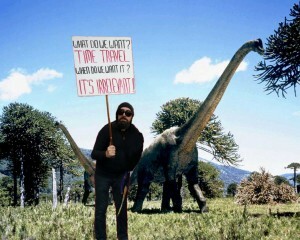 And so is music. 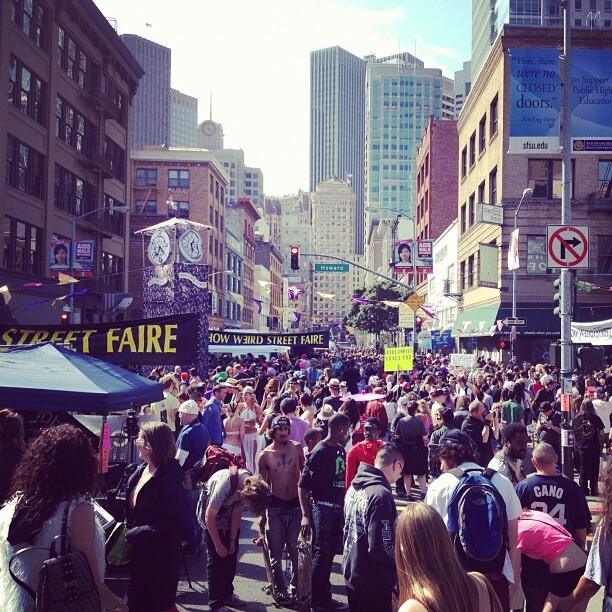 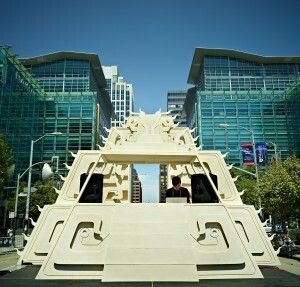 The How Weird Street Faire is a world-class music festival that takes place in the streets of downtown San Francisco, featuring a wide range of electronic dance music. 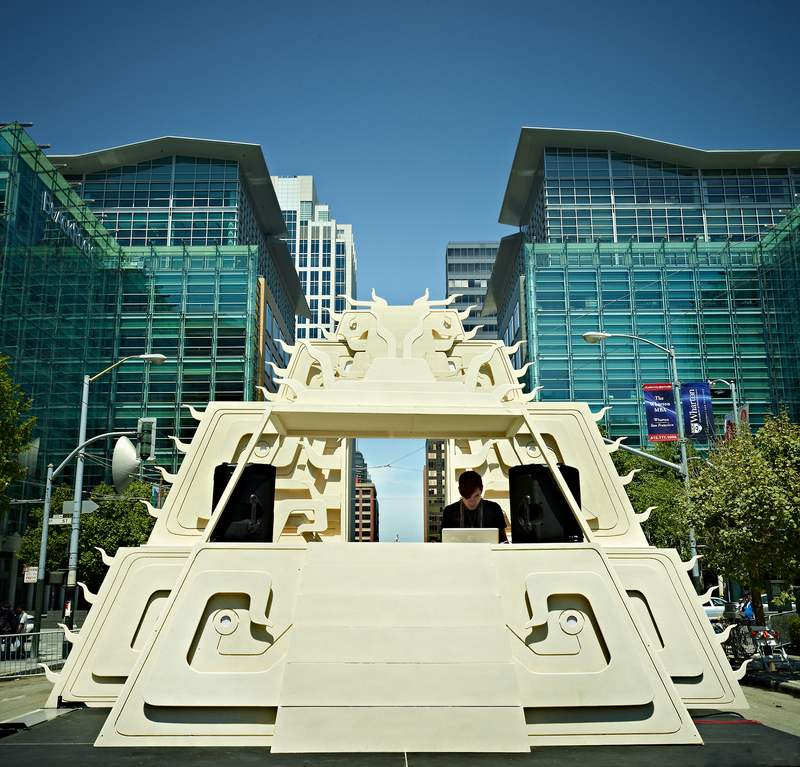 This year’s faire features ten dance music stages by Symbiosis, Muti Music, World Famous Productions, Basscraft Soundsystem, Groove Garden, Enchanted Forest, Opel, Opulent Temple, Urge Productions, Pink Mammoth, SF House Music, Temple Nightclub, SWAG, Pulse SF, Space Shaping, PK Sound, The Boombox Affair, Party Babas, Red Marines, Psycircle, Happy Camp, and more. 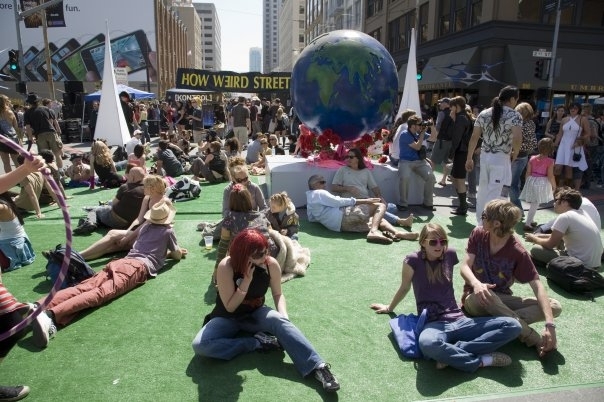 The center intersection will once again be a place to meet and relax. 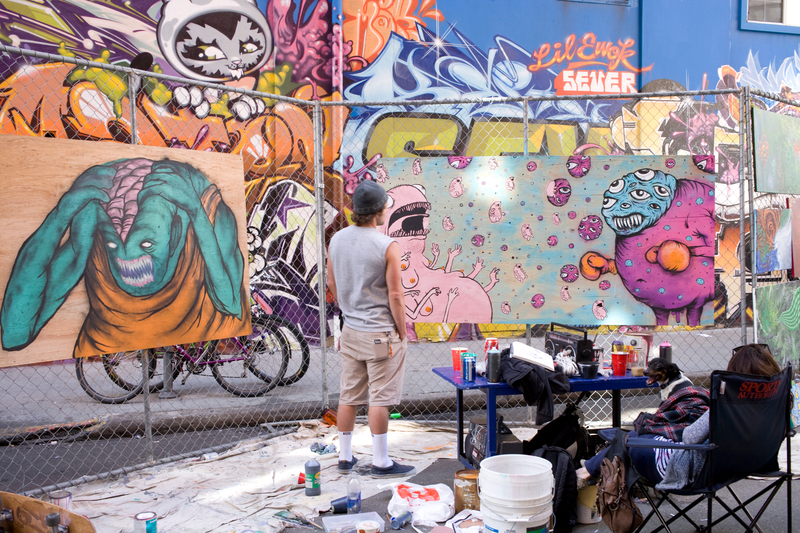 And Art Alley will be back with a block-long gallery of live and exhibited artwork. 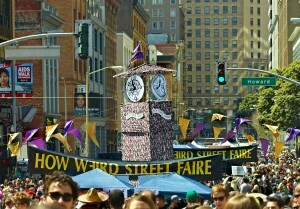 For a $10 donation at the entrances to the faire, you get Magic Beads, a collectible Weirdi Gras beaded necklace. 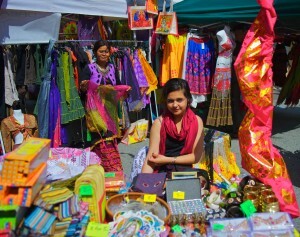 The Magic Beads are worth many times their cost, with discounts and specials at all of the vendors at the faire. 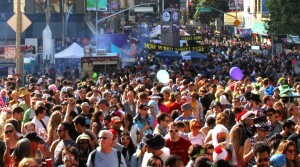 The Magic Beads are how people can support the faire, while getting something back in return. 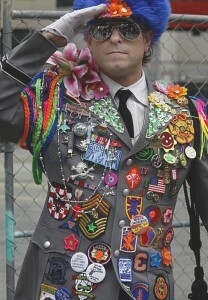 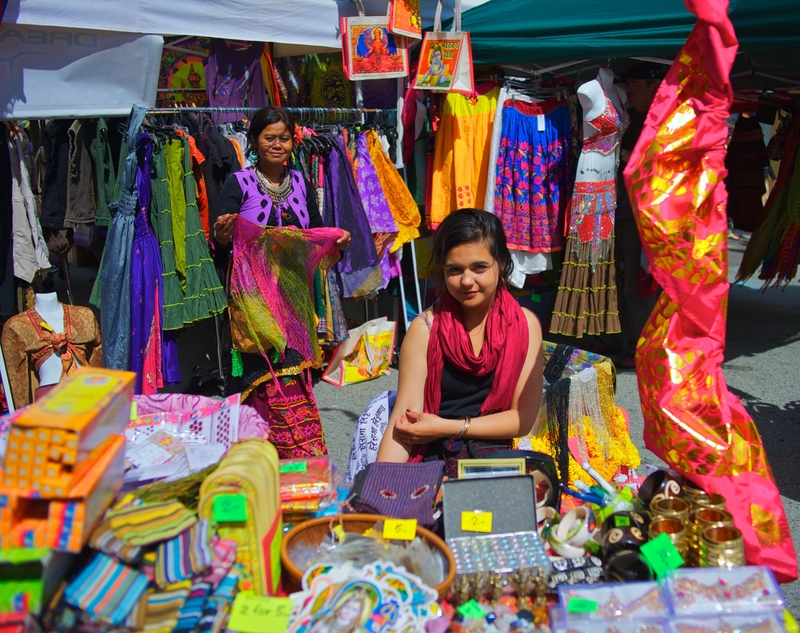 The How Weird vendors offer many unique and creative goods for sale, including designer clothing, jewelry, art, decorations, and more. 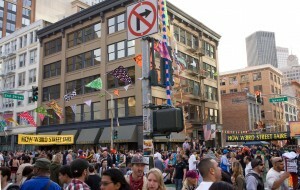 And there will be plenty of tasty food and drinks. 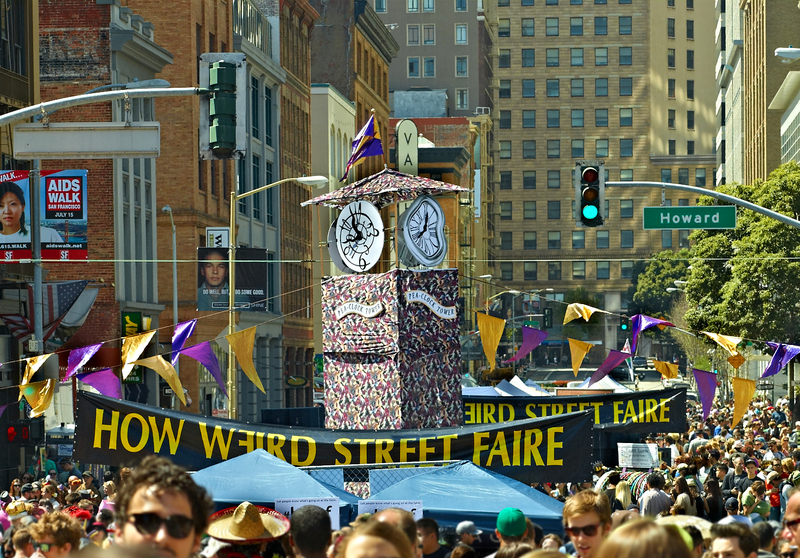 To celebrate Weirdi Gras, there will be five marching bands at the faire, including Blue Bone Express, Loyd Family Players, North Beach Brass Band, TrashKan Marchink Band, and Fanfare Zambaleta. They will be parading throughout the day and performing at the Marching Band Stage.